Interesting alternative to devote some time swimming in Monsummano Terme. Is it not your first time here? Tell us how it went making use of the Facebook comments below or contacting us directly! 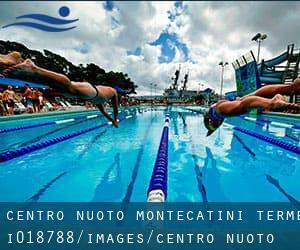 Centro Nuoto Montecatini Terme is only one of all the swimming pools Swimia is providing you, and its facts has been shared with us by a swimmer like you.Remember you'll be able to now promote Centro Nuoto Montecatini Terme by sharing this page together with your buddies, adding comments and linking to us. This sports center delivers Olympic size, 8 lanes, 1.70m depth, Indoors, Outdoors. Contact information for this Swimming Pool such as phone number and email address are number. What will you come across there? Do you know Monsummano Terme? Write down the GPS coordinates we've on our file for this Swimming Pool, so you can enter them into your GPS to assist you locate the Pool easily. Do you need to get in touch with them? If you believe that any from the info is incorrect, please make contact with us. Support us be better day-by-day. Piazza Sandro Pertini 11 , Monsummano Terme , ITALY. Among all the activities provided by the center, for anyone who is interested in swimming you are going to enjoy 25 meters x 16.66 meters, 8 lanes, Indoors. If you need to contact this Swimming Pool, email address and phone number are both number. The info of this Swimming Pool has been verified recently by a member of their staff.